The low-pressure area still persists to the South-east of Sri Lanka in the Bay of Bengal, says the Department of Meteorology. Showers or thundershowers will occur at times in Eastern and Uva provinces and in Hambantota and Polonnaruwa districts. Several spells of showers will occur in Northern Province and in Anuradhapura district. 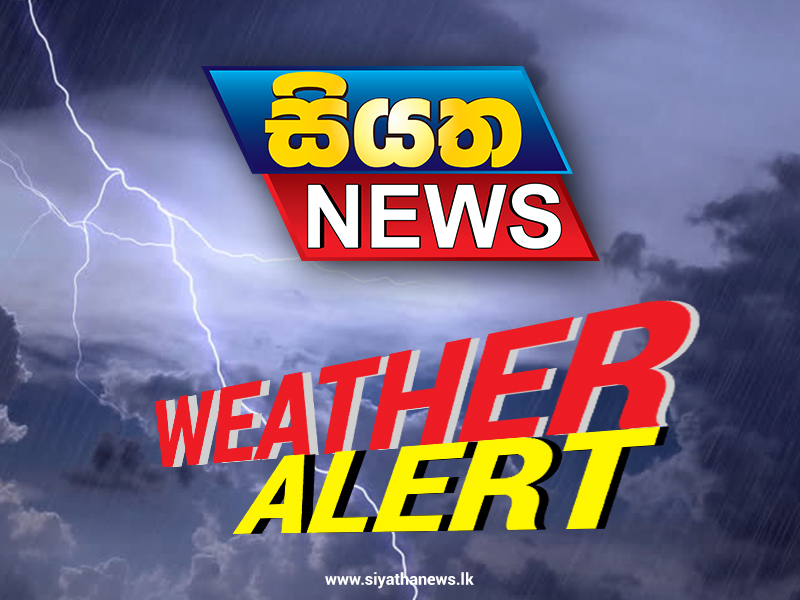 Showers or thundershowers will occur at several places in Sabaragamuwa, Western and Central provinces and in Galle and Matara districts in the evening or night. Heavy falls about 100mm can be expected at some places in Sabaragamuwa province and Kalutara, Galle and Matara districts. Misty conditions may occur at some places in Central, Sabaragamuwa and Western provinces during the morning. Due to the low-pressure area in the Bay of Bengal to the South-east of Sri Lanka, showers or thundershowers will occur at times in the sea area extending from Galle to Trincomalee via Hambantota and Pottuvil, according to the Department of Meteorology. Heavy showers can be expected in the above deep sea areas. Showers or thundershowers will occur at several places in the other sea areas around the island during evening or night. Winds will be North-easterly and wind speed will be 30-40 kmph in the sea areas around the island. Sea areas off the coast extending from Colombo to Mannar via Puttalam and the sea area extending from Matara to Pottuvil via Hambantota can be fairly rough at times as the wind speed can increase up to 50 kmph.